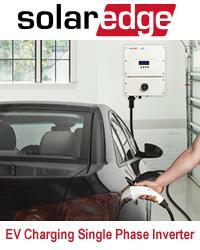 01/13/14, 02:25 PM | Solar & Wind | Principal Solar, Inc. The goal of becoming a fully reporting company with the Securities and Exchange Commission (the "SEC") if and when PSI clears comments with the SEC. 01/13/14, 02:21 PM | Solar & Wind | ABB Inc.
ENVLINE system reduces energy consumption and generates revenue. This year's Sustainable Bio Awards will recognise the tremendous innovation that is taking place in the development of truly sustainable bio-based fuels and products. The Sustainable Bio Awards event is where the pioneers and innovators of the bio-based industry are recognised for their outstanding work. From biofuels to face cream, from feedstocks to financing, the industry will gather to celebrate the advancements made throughout 2013. 01/13/14, 06:49 AM | Solar & Wind | Array Technologies, Inc.